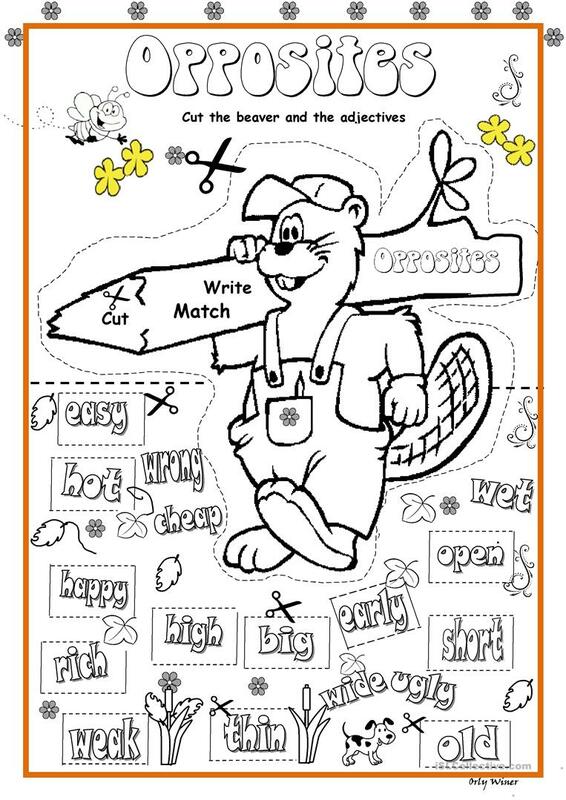 Cut the beaver and the adjectives. Opposites- Matching activity. Use the box with the opposites words. Cut and Paste and have fun.
. :)Hope you like it. 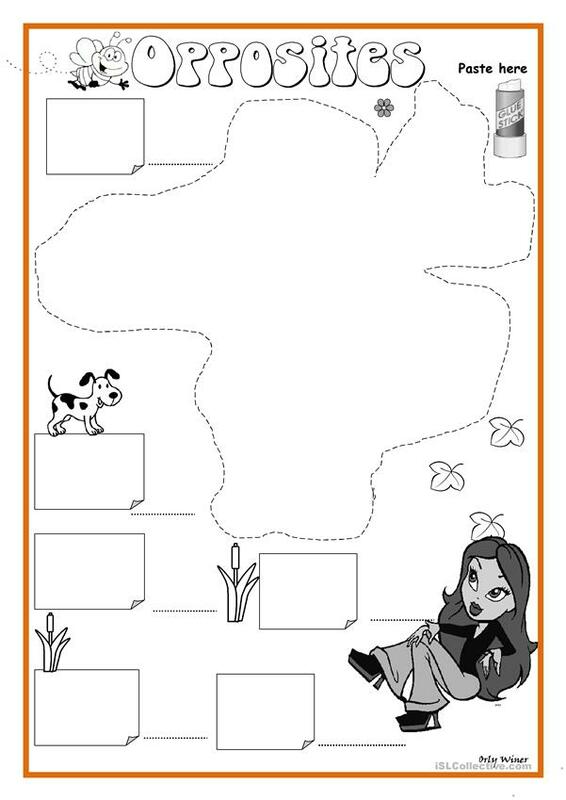 The above printable, downloadable handout is intended for elementary school students, kindergartners and nursery school students and students with special educational needs, learning difficulties, e.g. dyslexia at Beginner (pre-A1) and Elementary (A1) level. It is valuable for teaching Adjectives and Adjectives: Opposites in English. 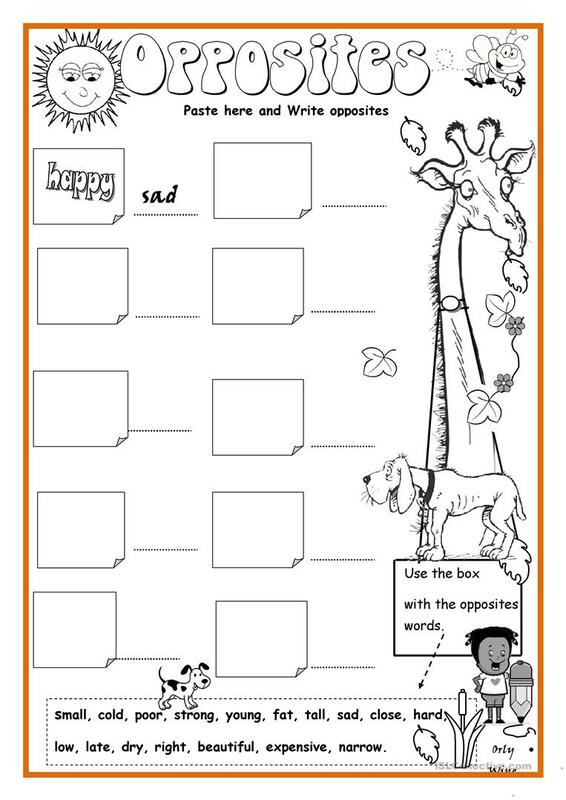 It features the vocabulary topic of Opposites.